4 CD SET! 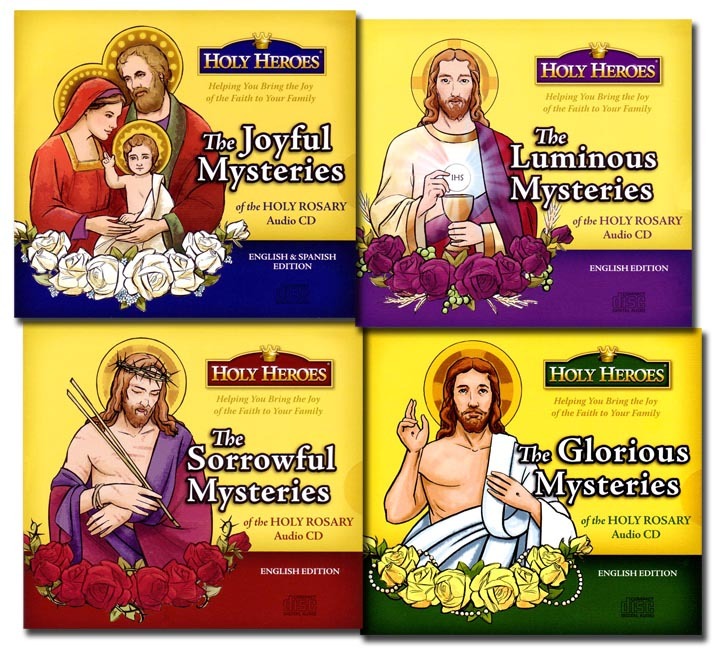 Get all 4 volumes of the Holy Heroes Mysteries of the Rosary in English. Each volume includes a different introductory discussion about the rosary, suitable to the particular mysteries to be prayed, plus a Scriptural rosary including more than a dozen children. Best way to use these: a decade at a time. The intros and Scripture give a lot for children to meditate upon (and ask questions about! ), so it is a good way to build up their knowledge and comprehension for them as they mature in their prayer life.